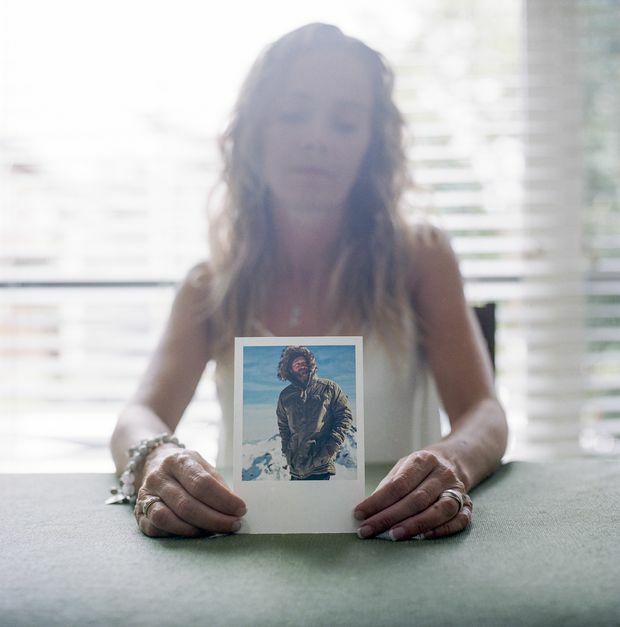 Gosbee's sister, Jean Marks, holds a photo of her brother on a mountaineering expedition in the Rockies. Gosbee, the financier, and Abbott, an oilman and rancher about a decade Gosbee's senior, had teamed up for numerous adventures over the years. Four days in, the temperature dipped to -40C. Under their balaclavas, the members of the 10-person expedition struggled to pull 90-kilogram sleds over the snow, which had drifted into sharp, hard ripples known as sastrugi. Tall and athletic, Abbott wasn't easily bowed, but he had reached a breaking point. Gosbee and Abbott reached the South Pole two weeks later, and Gosbee travelled on to Antarctica's highest group of mountains, where he scaled the 4,890-metre Mount Vinson. On Friday, Nov. 10, in another effort to help, Abbott went to Gosbee's house and cooked him a dinner of butter-fried potatoes, asparagus and steak. They made plans to go shooting the next day. But at seven o'clock on Saturday morning, Gosbee texted to say he didn't want to go. It was the last message Abbott would receive from him. Marshall Abbott was a long-time friend of Gosbee's. The pair were avid hunters and adventurers who travelled the world together. It’s hard to overstate how shocking Gosbee’s sudden death was to Alberta’s business community. Over the previous 25 years, he had cemented his place among its Young Turk entrepreneurs, a club that includes oil sands billionaire Murray Edwards, investor and former Dragons' Den star Brett Wilson and pharmacy and sports magnate Daryl Katz. A salesman extraordinaire, Gosbee could tell a story to win over the toughest investors. 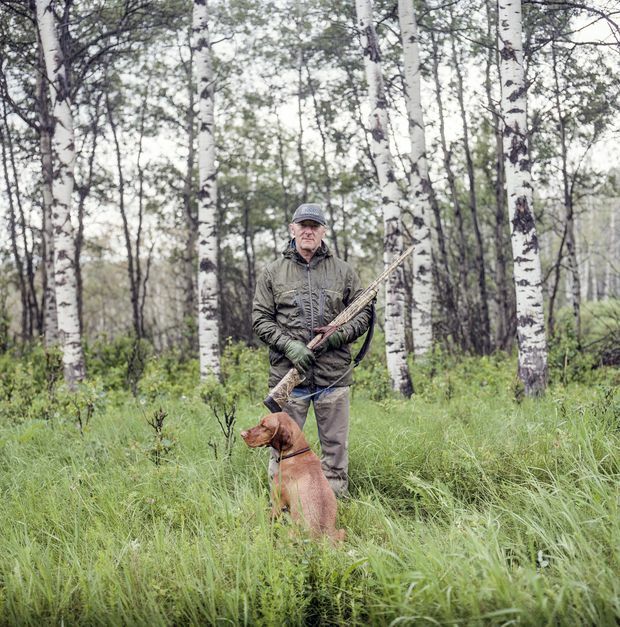 He was a hunting partner, and bro, to some of the most powerful businessmen in Canada. He travelled on overseas shooting trips with media-shy Calgary construction, energy and real estate billionaire Fred Mannix, and he was a close friend of powerful Houston energy investor Kevin Comcowich. Gosbee advised former prime minister Stephen Harper while he was in office and served on former finance minister Jim Flaherty's economic advisory council. Gerald Butts, Justin Trudeau's principal secretary, considered him a friend, and the Prime Minister had looked to him for critical advice on the resource sector. 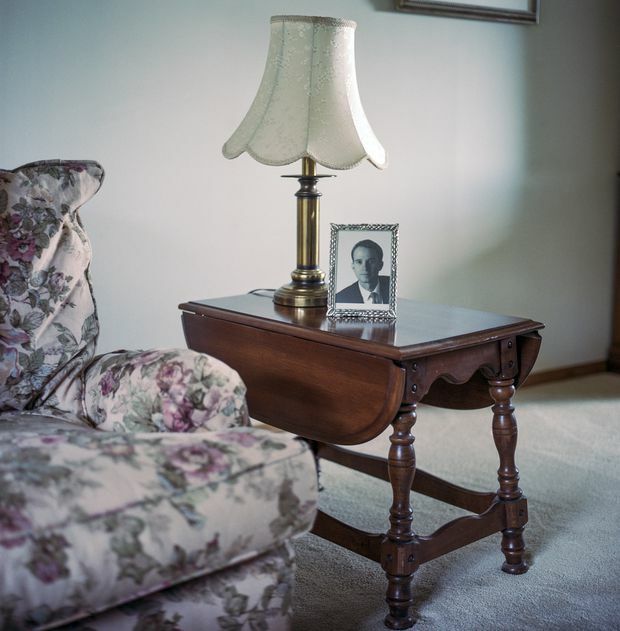 Gosbee’s parents, John and Edna, proudly display a portrait of their son at their home in Calgary. Jean Marks, Gosbee’s only sibling, younger by four years, first got an inkling of her brother’s flair for business when, as an 18-year-old in Calgary, he approached a popular Stephen Avenue nightclub, The Banke, with a proposition. Gosbee would be responsible for filling the bar with thirsty university students for a private party, and he would keep the proceeds from the ticket sales. ''George just had a way of selling things to you,'' Marks says. ''He could just say to you, ‘I’m telling you, you should do this...this party is going to be awesome. And the most beautiful girls are going to be there, and the most handsome guys are going to be there.' "
When the night of the event rolled around, Marks came home to find Gosbee and his two friends watching a hockey game. ''I said, ‘What are you guys doing? You’ve got to go—your party’s tonight.’ And George started to laugh, and said, ‘Oh, Jean, I had no intention of ever going to that party. I just was trying to make five grand.' "
Later, that entrepreneurial prowess would win him a job at Peters & Co. Ltd., the full-service brokerage established by Rob Peters. It was 1992, and broker Mike Smith and his colleague Allan Ross wanted to hire an assistant. They put up a posting on the University of Calgary’s job board and Gosbee, just finishing up a bachelor of commerce degree, applied. At the interview he showed the unique ability to walk into a room of strangers and start a conversation with anyone. Gosbee got the job. ''As it happened, he was a very poor assistant, because he was way too ambitious,'' Smith recalls. Within three months, Gosbee persuaded his bosses and other brokers to let him develop a base of investors in New York, where Peters & Co. had virtually no presence. Gosbee immediately moved to the city, paying for three months' accommodation in a low-rent New York apartment out of his own pocket. It was a tribute to Gosbee’s appetite for risk taking, but it was also good timing: In the early- to mid-1990s, the junior oil and gas business was booming. Wall Street was interested in what Calgary was selling. After his time in New York, Gosbee, one of the most junior people in the firm, became one of the ''top commission guys,'' Smith says. At the same time, Gosbee was on the verge of becoming a young family man. He met Karen in university, where the two bonded over a shared sense of humour and a life-changing event: At 21, he underwent major surgery for a benign brain tumour. Karen's father is a neurologist, and Gosbee felt like he could open up to her about his condition. Back in those days, Gosbee partied and drank, heavily sometimes, Karen says. He had also been diagnosed with attention deficit hyperactivity disorder as an adult and was prescribed a Ritalin-like medication. She says he didn't always take the medication because he worried about it slowing him down in the business world. When Bryan Dutt, chair of Ironman Energy Capital LP in Houston, met Gosbee in 1995, he didn’t realize the young executive was still in his 20s. After all, Gosbee was already on first-name terms with the CEOs of oil-service companies and producers. He displayed a dazzling energy and a penchant for entertaining in an era when work and pleasure were intertwined. ''Back before cellphones had cameras, I think everybody in that male-dominated energy-finance industry—90%—partied hard, drank too hard and really burnt the candle at both ends. And that was George to a T,'' Dutt says. After Gosbee left Peters, he worked a three-year stint as managing director at Calgary's Newcrest Capital and then took his first big step as an entrepreneur. In 2000, he formed a new investment firm to finance private-equity deals in the oil patch. Two years later, Gosbee turned the venture into a full-service brokerage under the Tristone Capital banner. The firm won some big-time advisory mandates that would normally go to top U.S. or Canadian banks. Case in point: They handled Texas-based Anadarko Petroleum's sale of its Canadian assets to Murray Edwards's Canadian Natural Resources Ltd. Tristone also marketed several Anadarko assets in the United States and Qatar. The total price tag on the deals, done in 2006 and 2007, was more than $8 billion, which meant big fees and international credibility for Tristone. In 2004, Gosbee made his first big mistake, striking a deal to sell Tristone to Denver-based Petroleum Place Energy Advisors Inc. for $101 million. Gosbee stayed on, but his new U.S. partner became increasingly uncomfortable with how Canadian capital markets operate, especially the fact that brokerages risk their own money in most stock issues. After two years, Petroleum Place and Tristone split up. Once the deal was unwound, Gosbee declared publicly, ''I got my firm back,'' to the annoyance of some of his Tristone colleagues, who felt they were equally vital to the firm. Gosbee wasn't yet 40 years old. The Chinese hosts invited Gosbee, Abbott and another Canadian businessman to sit. Before long, a large covered wicker basket was placed on the table for the 15 diners. The waiters then set down a pot of boiling oil. One lifted the lid off the basket to reveal a bundle of wriggling baby mice cocooned together—each with a fine layer of newborn fuzz. The dish was presented as a ''lively delicacy,'' and the hosts told their guests to spear the live mice with long forks and cook them in the oil, fondue style. Gosbee continued to hide his problems, and to many friends everything seemed under control. Bill Turnbull was one of Gosbee’s hunting and fishing buddies, joining him on numerous trips over the years. ''I’ve been over this a million times. And I’ve talked to a lot of people who were close to him,'' says Turnbull, a Calgary real estate developer. ''The word coming out is that he abused alcohol. I never saw that—I never saw him around pills or drugs or anything like that. And I was with him lots of times 24-7." Not all of Gosbee's deals paid off, however, and he was not universally loved. He could rub colleagues the wrong way with his propensity to hog the limelight. A few former associates say he elbowed them out of their place in deals. Once in a while, there would be unexplained absences. Although enthusiastic at first, he had a tendency to grow bored of his role in ventures, leaving others to scramble to take over. ''He had a very fertile mind and could dissect a deal in minutes. But if discussions were taking longer than that, he was checking out and already thinking about the next deal,'' Abbott says. About two years after Gosbee started AltaCorp, his focus began to drift to other pursuits. AltaCorp’s employees noticed he was in the office less, his interest in running the business appearing to wane. From Mowat’s perspective, this was not unusual, given the capable team he had assembled to concentrate on the day-to-day operations. ''He had kind of that job as a rainmaker. It’s not like he’s punching the clock from seven till five or something,'' Mowat says. Gosbee checked into a rehab facility in Arizona early in 2015, and then again in 2016. He went to Alcoholics Anonymous meetings, though his attendance was often disrupted by an increasingly hectic worldwide climbing schedule. Sometimes, Karen says, he believed he was a ''superman'' who could conquer all of his demons through force of will. Gosbee's struggles put a strain on the marriage and, in 2016, the pair decided to live apart. Karen says Gosbee needed the space and the time to chart his own path to recovery. He rented a suite at Le Germain, a luxury condominium and hotel complex across from the Calgary Tower. He later moved back into the family's riverfront home in Elbow Park, while Karen and the kids lived in another family home in Calgary. Prem Singh, a Calgary-based adviser who brokers deals for Indian companies—and a frequent social media commentator with a hard-core conservative bent—was a long-time friend of Gosbee’s. One of their first meetings was in 2005, ''the year that Tristone had this fabulous energy conference in Paris.'' He invited her to bring a group of Indian investors and bureaucrats. Karen was worried too, when she stopped hearing from Gosbee on that Friday in mid-November. She usually didn't go more than a few hours during the day without getting a message from him, but then suddenly, the texts ended. And there was silence. 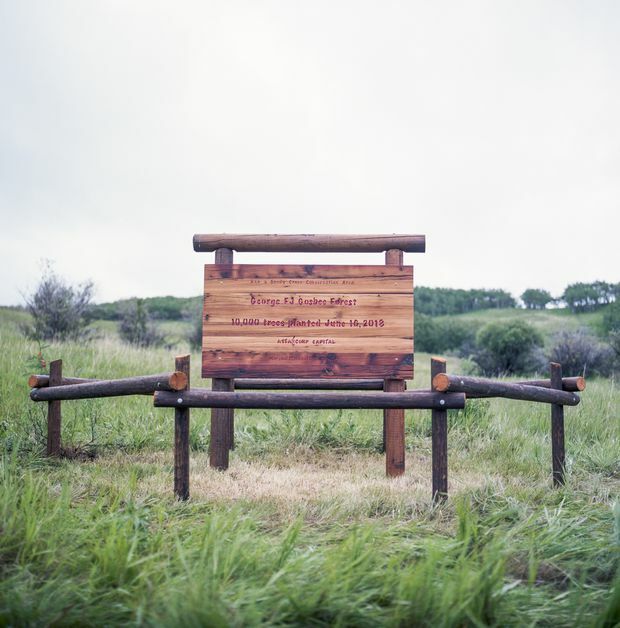 In June, family and friends held a tree planting ceremony at a conservation area south of Calgary to celebrate Gosbee's life. There is solid science behind the connection, says the study's lead author, Dr. Michael Freeman, a psychiatrist and researcher at the University of California San Francisco who specializes in mental health and entrepreneurship. He says aspects of those conditions actually help give entrepreneurs the singular focus, desire to take risks and ability to form powerful networks that are needed to make businesses successful. It's a provocative statement, but Freeman asserts that society owes much of its prosperity to people with mental health conditions. What can we learn from the suicide of George Gosbee?